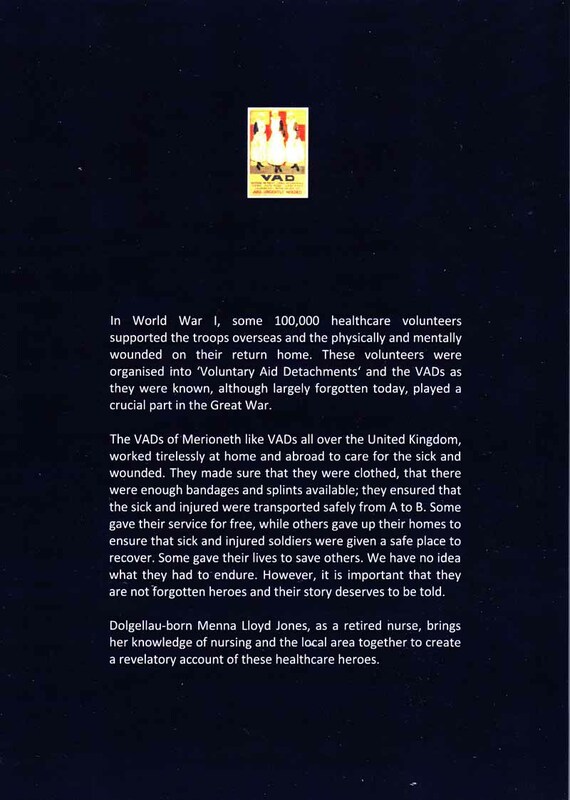 In World War 1, some 100,000 healthcare volunteers supported the troops overseas and the physically and mentally wounded on their return home. These volunteers were organised into 'Voluntary Aid Detachments' and the VADs as they were known, although largely forgotten today, played a crucial part in the Great War. 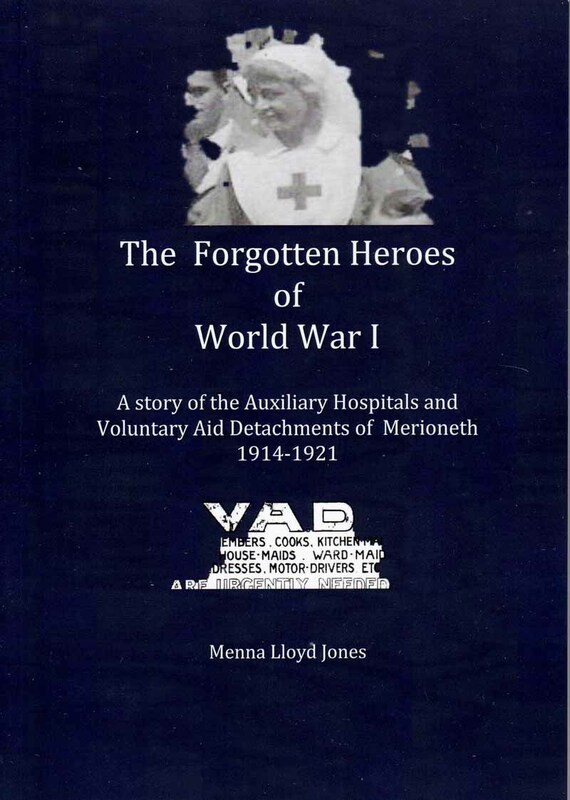 The VADs of Merioneth like VADs all over thge United Kingdom, worked tirelessly at home and abroad to care for the sick and wounded. They made sure that they were clothed, that there were enough bandages and splints available; they ensured that the sick and injured were transported safely from A to B. SOme gave their service for free, while others gave up their homes to ensure that the sick and injured soldiers were given a safe place to recover. Some gave their lives to save others. We have no idea what they had to endure. 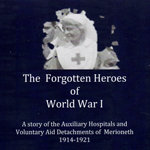 However, it is important that they are not forgotten heroes and their story deserves to be told. 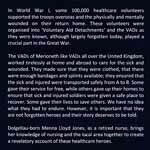 Dolgellau-born Menna Lloyd Jones, as a retired nurse, brings her knowledge of nursing and the local area together to create a revolutionary account of these healthcare heroes.